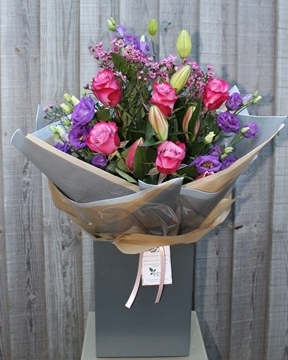 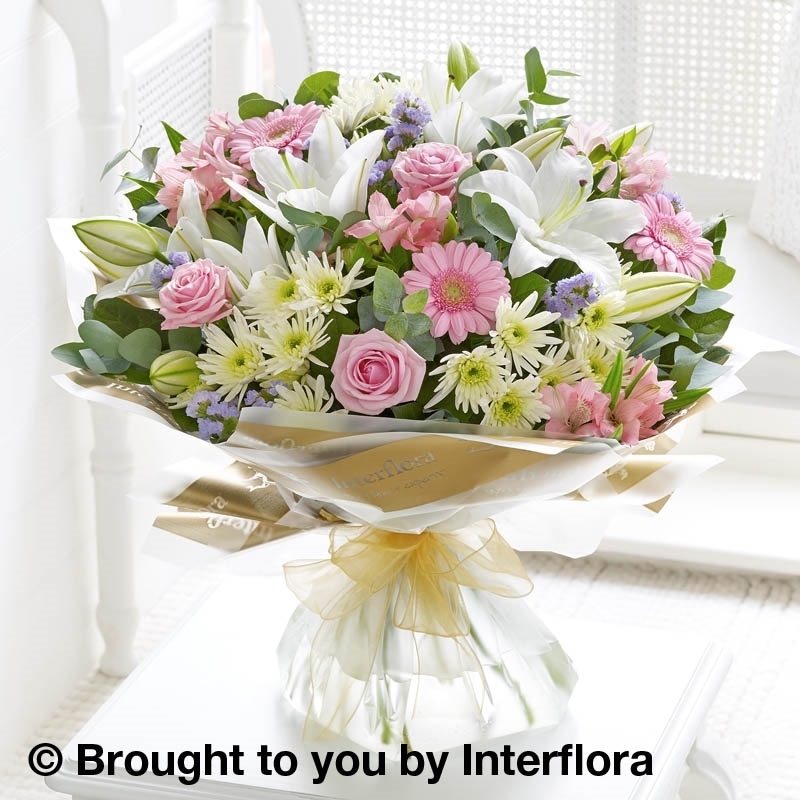 This glorious hand-tied bouquet is wonderfully feminine and exudes a sense of timeless elegance and beauty. 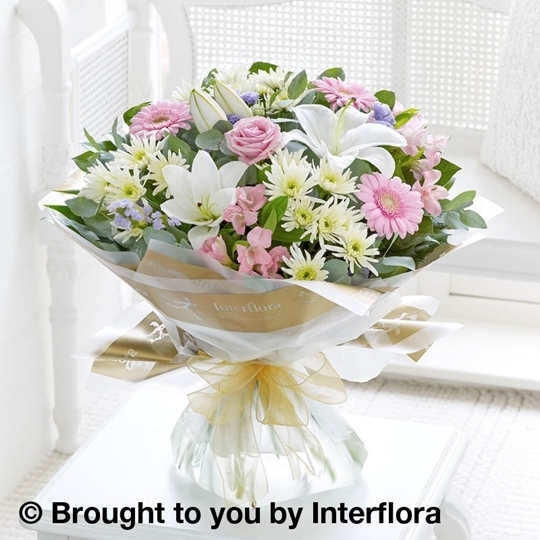 We love the array of textures plus the shades of soft pink, fresh white and cool lilac, each adding something new to admire. An irresistible gift. 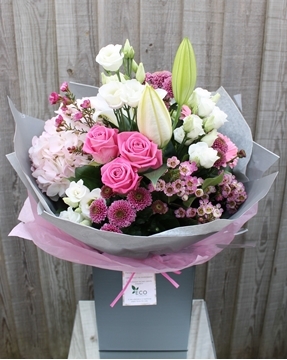 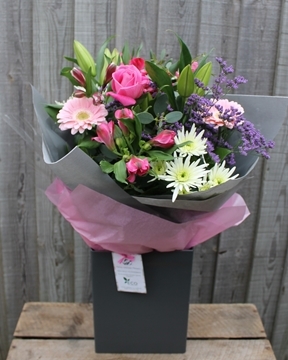 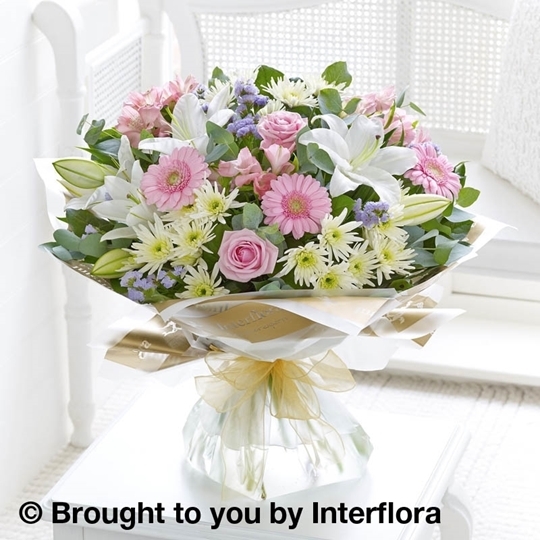 Featuring 2 pink alstroemeria, 1 white Oriental lily, 1 long-stemmed pink rose, 3 white spray chrysanthemums, lilac statice and 3 pink germini with Eucalyptus Cinerea and salal.